PARIS -- Renault is expanding its electric vehicle offensive in Europe with the launch of a longer version of its Kangoo Z.E. car-derived van. The stretched version will be unveiled at the Geneva auto show next week. It will go on sale in the autumn as the Kangoo Maxi Z.E. with two- and five-seat versions and is aimed mainly at commercial users. In France, the two-seat version will sell for 16,200 euros while the five-seat variant will cost 17,000 euros. Both prices factor in a 5,000-euro subsidy the government offers to EV buyers. 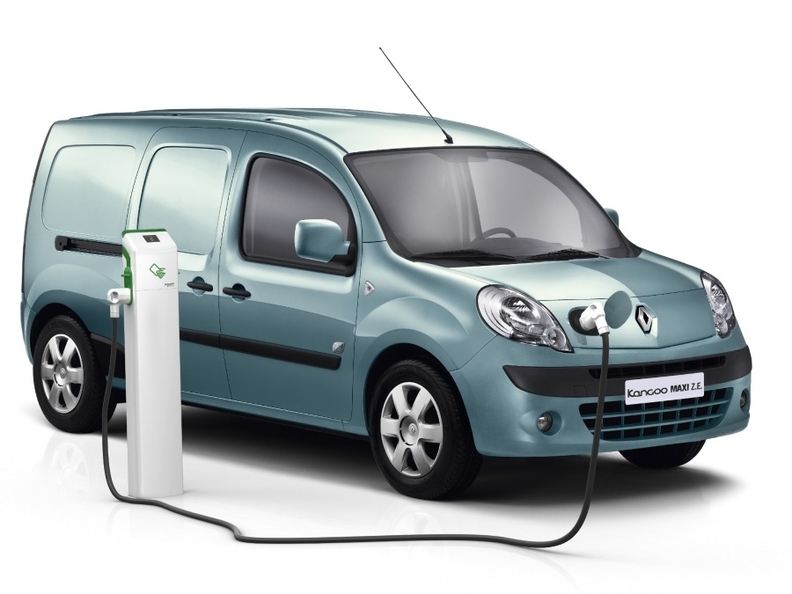 Renault will lease the van's battery for a pre-tax starting price of 72 euros a month. Renault said that both the Kangoo Maxi Z.E's and the shorter Kangoo Express Z.E. 's cost of ownership will be competitive with that of the diesel version of the Kangoo, when driven more than 15,000km a year. Like the Kangoo Express Z.E., the Kangoo Maxi's electric motor has a power output of 44 kW or 60 hp and can run 170km (about 100 miles) on a single charge. The Kangoo Maxi''s wheelbase is almost 40 cm longer than that of the Kangoo Express Z.E, which is 4600 mm long. Renault said the Kangoo Maxi Z.E. will appeal to business customers who want a van for transporting goods. Renault and alliance partner Nissan aim to become the biggest seller of EVs. Renault is launching an electric version of its Fluence sedan this year, along with the Twizy scooter-style two-seater. The Zoe subcompact electric car will launch next year as Renault's volume EV. By 2015, the alliance partner will have a global production capacity of 500,000 EVs a year.